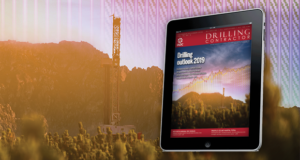 With the industry’s steady, albeit gradual, emergence from the dark days of the downturn, onshore drilling contractors are seeing rig counts rise and dayrates climb. Increasingly, drilling companies are deploying fleets of upgraded rigs to meet operators’ demands to achieve more reservoir contact with longer laterals from bigger pads. Omnidirectional walking capabilities among key features being added as operators seek efficiencies to develop contiguous acreage. 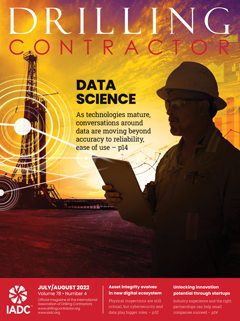 Automation and analytics are increasingly integrated into rig designs to improve well placement and wellbore quality and to more easily deploy technologies like MPD. Mast upgrades are allowing some mechanical rigs to prolong their life by serving niche markets in shallower plays. 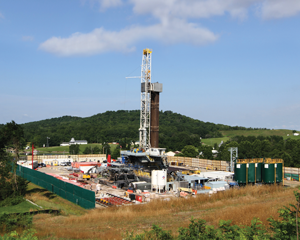 Today’s unconventional challenges are a far cry from those of less than a decade ago, when a single shale well might have a 1,000-ft lateral and a few stages. Back then, the talk was all about achieving faster rates of penetration (ROP) with new directional drilling techniques to break through the hard formations. While those goals remain important today, operators have also moved on to more ambitious campaigns, characterized by deeper, more deviated and tortuous trajectories, tighter spacing between wells and, in the sizzling Permian Basin, stacked laterals. For drilling contractors, that means the bar has once again been raised to deliver more robust solutions and heed a new set of watchwords: repeatability and predictability. The MOTIVE Bit Guidance System, acquired last year by H&P, uses modeling and automated decision making to more accurately steer the bit in real time by performing calculations traditionally done by a directional driller. To meet these objectives, contractors have ushered in a new era of super-spec AC rigs featuring greater horsepower, higher pressure ratings, more hookload and expanded pipe-racking capacity. They’ve also designed sophisticated control systems that integrate a broad range of digitally powered functions to streamline the drilling process with more precision. 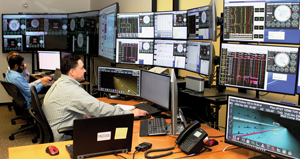 While rigs stood idle during the recession, many contractors did not, seizing the opportunity to prepare for this new wave of drilling by upgrading equipment and embracing technology in unprecedented ways. H&P’s MagVAR system provides survey management technology to improve wellbore placement in longer laterals and reduce errors throughout the drilling process. The image on the left shows ideal, or planned, placement. The image on the right shows actual placement caused by surveying inaccuracy. Unclaimed reservoir refers to lost hydrocarbons due to well spacing variation that inhibits full reservoir contact. First observing the trend toward longer laterals back in 2013, H&P began upgrading its fleet of FlexRigs to ensure higher levels of repeatability and reliability. These upgrades include 7,500-psi mud pump systems, increased setback capacity for longer measured-depth wells, walking and skidding capabilities for larger pads, and digital platforms for more autonomous drilling. H&P Super-Spec Flex5 Rig 519, operating in South Texas, features 100-ft, bidirectional skidding systems with an option to extend to 200 ft. The rig is especially suited to drill wells from 12,000 to 15,000 ft in depth. As drilling began to pick up in late 2017, the company reactivated 128 rigs, 91 of which feature Super-Spec upgrades. Since activating an additional 38 Super-Spec upgrades through the first three quarters of the fiscal year, H&P has more than 190 upgrades running in US land plays. If demand continues, Mr Lindsay said he anticipates adding 12 Super-Spec rigs per quarter. “These upgraded rigs provide greater reliability and consistency, and they reduce risk to deliver better wells for customers,” he said, noting that the increased value being delivered by the upgrades has driven dayrates up in the past year, from the high teens to the low- to mid-$20,000s. With more rigorous wellbore requirements putting a heavier burden on the directional driller, H&P has also integrated digital capabilities into its FlexRigs through two ventures aimed at improving well placement and wellbore quality. 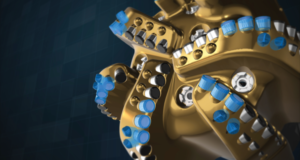 The MOTIVE Bit Guidance System, acquired last year, uses modeling and automated decision making to more accurately steer the bit in real time by performing the calculations traditionally done by a directional driller. The financial interests of the operator drive decisions related to drilling speed, production and tortuosity. The system, designed with flexibility for use with various rigs and downhole tools, is running on more than 30 rigs, both FlexRigs and non-H&P rigs, and has been implemented on more than 500 wells. 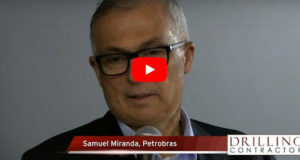 “We’ve seen that making more precise decisions results in less tortuosity, which enables us to drill faster at the end of the lateral, significantly reducing unnecessary trips in the curve,” Mr Benson said. Magnetic Variation Services (MagVAR), also part of the H&P family, provides survey management technology to improve wellbore placement in longer laterals and reduce errors throughout the drilling process. It removes sensor error using mathematical modeling and more accurate localized magnetic referencing. “On a 10,000-ft horizontal, especially with the laterals spaced so close together, in some cases only 375 ft, there is a high probability that wells are closer than what is ideal or too far apart. This variability is due to survey error, which can impact communication between completion technologies or negatively affect the well’s hydrocarbon potential,” Mr Benson explained. Independence Contract Drilling’s ShaleDriller 211 rig works on a multiwell pad in Washington County, Texas. The ShaleDriller rigs all feature super-spec attributes, including omnidirectional walking capabilities to move easily from well to well and pad to pad. Independence Contract Drilling’s entire young fleet of ShaleDriller rigs features all the super-spec attributes. Many of them operate in the resource-rich Permian Basin, the epicenter of US land drilling where stacked plays and laterals up to 3 miles long require the most highly technical equipment available. 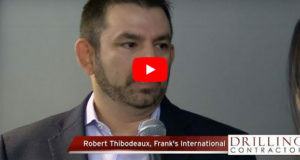 Most of the company’s rigs have omnidirectional walking capabilities to move efficiently from well to well and even pad to pad, said Chris Menefee, Vice President, Business Development. ShaleDriller 211 works in the Permian Basin for Parsley Energy. Whereas the first generation of mobile land rigs were skidding rigs that moved in just an X/Y direction, the ShaleDriller fleet features 360° walking systems. “Recently, one of our rigs walked 462 ft in less than six hours for a customer in the Permian Basin, a milestone that proved the technology. By moving from one pad to the next, anywhere from 100 ft to 100 yards, operators can reduce their cycle time and avoid the time and cost of rigging up and down,” Mr Menefee said. The Nabors PACE M800 rig features high-spec requirements, including increased setbacks, high-pressure mud systems and integrated walking packages, for drilling longer laterals in unconventional plays. 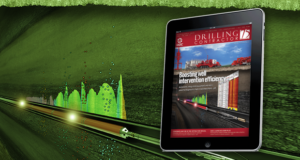 Alongside the physical upgrades, digital analytics are playing an increasing role in rig designs as operators seek greater control of the drill string and associated downhole tools to drill more precise wellbores and push lateral wells ever farther. Nabors, one of the first developers of AC rigs early in the shale boom, has defined a new tier of high-spec rigs, the Nabors SmartRig fleet. Its PACE X750, X800, M750, M800 and M1000 rigs all incorporate increased setback, high-pressure mud systems and integrated walking packages. 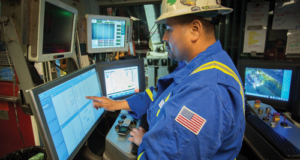 “Beyond the capacity of the rigs, what makes this fleet ‘smart’ is the Rigtelligent control system, which provides automation for repetitive tasks at the surface and automation of complex tasks that improve downhole efficiency,” explained Edgar Rincon, Vice President, US Operations. More than 90 rigs in the continental US meet the SmartRig requirements, and an additional eight to 10 will be deployed by the end of the year. 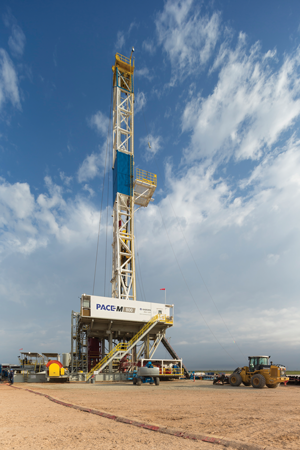 The newest design is the PACE M1000 rig series, four of which are operating in the Permian and Eagle Ford. All feature three 1,600-HP mud pumps; 7,500-psi mud systems; four engines, each rated at 1,476-hp; 1,000-kip hookload capacity; omnidirectional walking capability for multiwell pads; high-capacity drawworks for faster trip speeds; and 900-kip setback for racking 30,000 ft of 5 1/2-in. pipe and 35,000 ft of 5-in. pipe. 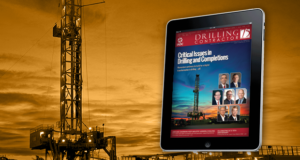 Drillers face a multitude of issues that vary from play to play. These include high downhole temperatures, fluid gains and losses, longer laterals with closely spaced wells due to multiple horizons and layered formations, higher hydraulic horsepower requirements to clean the hole and wellbore placement difficulties. 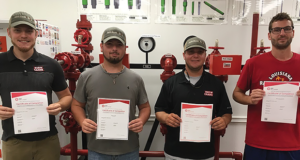 “A key factor for success is to operate the rig so that it protects the bottomhole assembly from premature failure in the long laterals,” Mr Rincon added. Nabors’ walking MPD-Ready rigs integrate rig controls, surface sensors and software to determine downhole pressure environment limits and manage annular hydraulic pressure while drilling. The company’s CRT-Ready system facilitates running casing to bottom without the need for independent casing-running tool systems. The Directional-Ready rigs integrate downhole equipment and rig controls to ensure precise placement in extended-lateral wells. SmartRigs are further enhanced with the Navigator directional drilling platform for more accurate directional drilling decisions, and the ROCKit Pilot system, now in final testing. 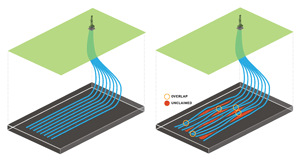 The latter will automate decision execution for automated, closed-loop directional steering. 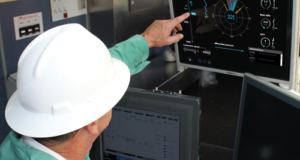 The Ensign EDGE control system, which integrates rig controls, data analytics and communication, is installed on 35 of Ensign’s large AC and smaller hydraulic rigs. The control system is currently installed on 35 of the company’s large AC and smaller hydraulic rigs. 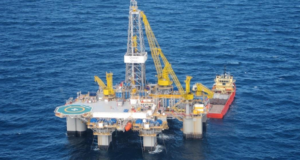 Approximately 90 of Ensign’s 170 global rig fleet are currently working. As idle rigs go back to work, with SCR rigs retrofitted with AC top drives, they will be outfitted with the EDGE system. 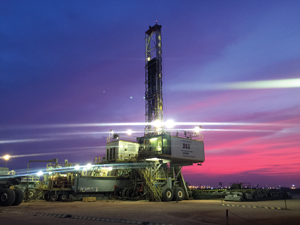 An Ensign Energy Services ADR 200 rig works for Occidental Petroleum in Oman. The small, fast and highly automated hydraulic rig excels in tight formations, drilling shallow wells with lateral extensions. In the Permian, Ensign’s high-spec AC walking rigs are seeing the most demand as operators require higher torque on the top drive, higher pressure from mud pumps and the ability to rack back more pipe. 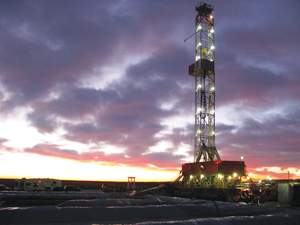 On one Permian well, the control system reduced drilling time from 14 to eight days. 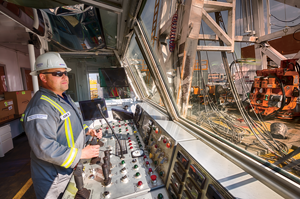 Earlier this year, an ADR super-spec rig equipped with the EDGE control system in Alberta set a record drilling Canada’s longest land well, at a measured depth of 25,492 ft (7,770 m), in 14 days. 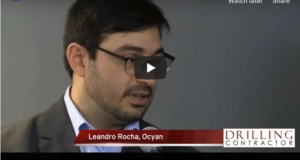 The system also is being implemented in Argentina’s Vaca Muerta formation. Ensign’s fleet of ADR 200 and 300 rig series consists of agile and highly automated hydraulic rigs that excel in tight formations, drilling shallower wells with lateral extensions. The rigs are working in California, Oman, Western Canada and Australia, drilling coal seam and traditional wells. In Bakersfield, Calif., ADR 300 rigs typically drill 2,000 ft in one day and move to the next well within 24 hours. The rigs, which are easily transported in urban areas, have a highly automated drilling floor, with tubulars delivered and aligned with the well center by an automated pipe arm and connections made with an automated iron roughneck. An emerging trend with larger rigs is the use of batteries with natural gas engines, which don’t accelerate as quickly as diesel engines. “Batteries provide immediate acceleration, then back off so the engine can take over, providing more consistent power,” Mr Halloran said, noting that Ensign once had the largest fleet of natural gas rigs. The practice fell off during the downturn, but this year the company plans to re-introduce a hybrid rig to prove the economic model that it saves fuel, reduces emissions and provides better control on the rig. 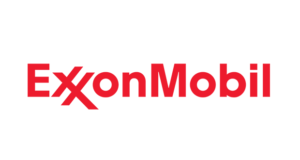 For the conventional market, Norton Energy is modifying its fleet of eight 800- to 1,000-hp mechanical rigs to accommodate horizontal drilling in the San Andres formation in the northern part of the Permian Basin. Laterals there are typically 1 to 1 ½ miles, with measured depths ranging from 10,000 to 13,500 ft and total vertical depth 4,800 to 5,300 ft.
Norton Energy’s Rig No. 6, a conventional jack knife rig updated with a new mast to rack back more pipe, operates in the San Andres formation in the shallower part of the Permian Basin. The mast incorporates a permanent top drive that stays in the derrick while moving. 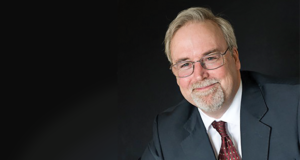 “Traveling north, the Permian becomes shallower, with dolomite versus the stacked shale layers of the Midland and Delaware basins,” Mr Norton explained. 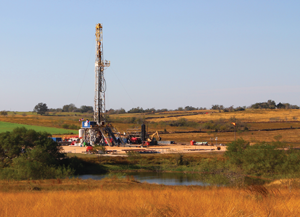 “Our customers don’t need 7,500-psi super-spec rigs to drill these shallow horizontal and vertical wells and don’t require walking systems because each well has its own pad.” The same is true for the shallower, gassier part of the Eagle Ford and areas of Oklahoma. “Five years ago, we realized our conventional jack knife rigs were going to become dinosaurs, so we built a new mast to rack back more pipe for horizontal drilling,” he continued. The mast incorporates a permanent top drive that stays in the derrick even while moving. Mechanical mud pump capacity also was increased to 1,600-hp and 5,000 psi, from 1,000-hp and 3,500 psi, to move more fluid in the laterals. The 900-hp drawworks is proving to be more than adequate for drilling these wells, with maximum pressure around 3,500 psi. 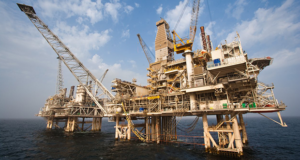 Four carrier rigs, which operate on seven axles with scope-up style masts, also have been upgraded with top drives and double, versus triple, racking configurations to accommodate the top drive and handle 13,000 ft of pipe. 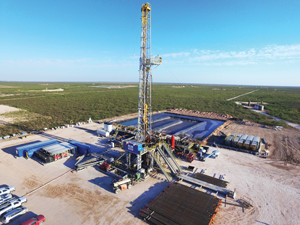 The company’s last carrier-style Kelly rig is drilling its last shallow vertical well in the San Andres formation in Hockley County, and then will be replaced by a similar rig with a top drive that will initially drill seven vertical wells. Looking ahead, Norton Energy is positioned for further upgrades as the need dictates. “We will be in the AC business eventually and can even add walking systems. Iron roughnecks and hydraulic catwalks are being incorporated, and at some point we will add electric-powered pumps and AC drawworks,” he said. Kelli Ainsworth Robinson has a bachelor’s degree from Texas A&M University and a master’s degree from the University of Texas. 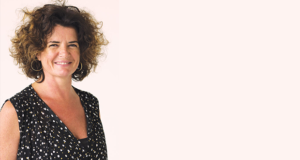 She has been writing for Drilling Contractor since 2014.